Prefer concentrates instead of dry herb? 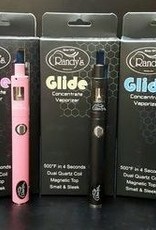 No need to look any further, as the Drift has a counterpart, The Glide, designed specifically for concentrates. 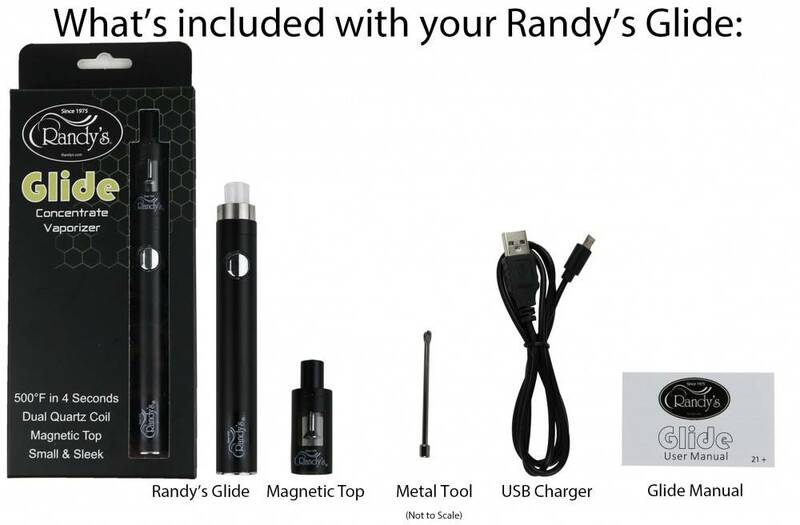 Randy’s Glide & Drift are ultra-sleek vaporizers, intended to fit perfectly in your pockets and be taken on-the-go. The durable, metal outer shell is designed to last. 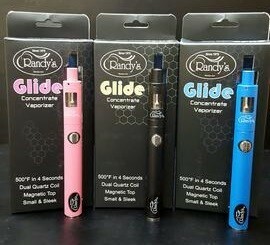 Randy’s Drift and Glide have reliable, supportive battery lives that will allow you to go multiple sessions before needing to charge. A blue light will appear around your power button to alert you that the vaporizer is sufficiently charged. A white light warns that you are under 50% battery life, and will soon need to charge your device. A red light communicates that your Drift or Glide is about to die, as a result it will need to be charged in order to continue use.